Posted on 09/28/2018 by Mickey McCarter	in Live Review and tagged chamber pop, jazz, latin, orchestra, Pink Martini, Portland, The Anthem. 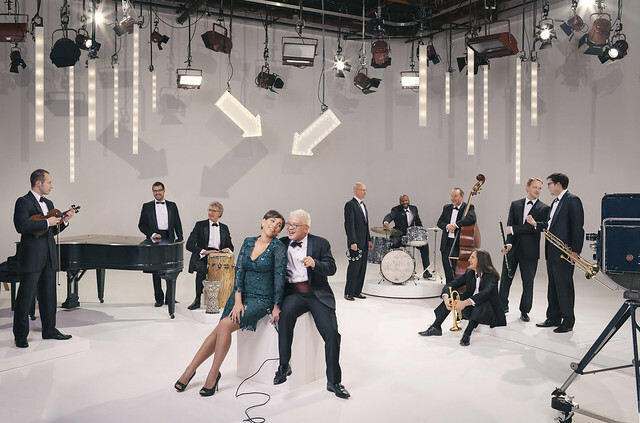 Classical crossover orchestra Pink Martini performs at The Anthem on Sunday, Oct. 7, presenting Latin and jazz musical stylings from their seven albums and other collaborations with special guest singer Ari Shapiro. Pink Martini most recently released Je dis oui! via Heinz Records in 2016 after recording it in their hometown of Portland, Oregon. It includes a number of originals like “Joli Garcon” and “Finnisma Di” alongside spectacular covers of “Love for Sale” by Cole Porter, “Serenade” by Franz Schubert, and others. In a review for AllMusic, Heather Phares praised the globetrotting sensibilities of Je dis oui!